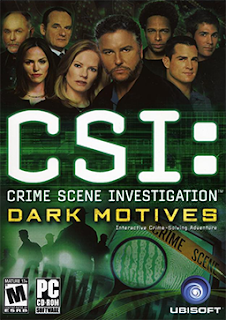 CSI: Crime Scene Investigation is the second game in the CSI Las Vegas series. This game was developed by 369 Interactive, and was published by Ubisoft. The Windows version was released on March 24, 2003. The Nintendo DS port was developed by Powerhead Games and was released on November 20, 2011. Like all of the games in the series, there are five individual cases which must be solved. The fifth case ties together the previous four cases.